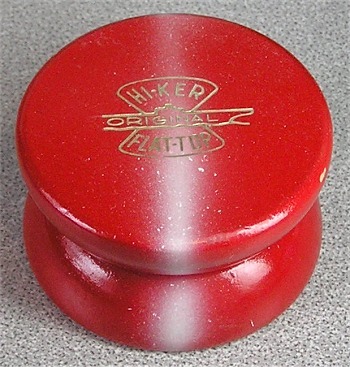 The Flat-top name was created by this innovation by Hi-Ker. Documentation from a collector several years ago, denotes this as the first concave yo-yo. Called a Flat-top, with a image of an aircraft carrier in the logo, it was a true innovation in the history of the yo-yo. Even though they couldn't call it a yo-yo back then.